March 28, 2011 /79 Comments/in Featured Articles, White Racial Consciousness and Advocacy /by Tom Sunic, Ph.D.
Every human wants to physically and racially look better than he actually does; wants to date and mate with a racially better looking partner than he is; his role model must be both intellectually and racially better than himself. Even the most ardent White liberal advocate of racial miscegenation is secretly keen about grooming his progeny according to the principles of “normative Whiteness,” and it is often among those fake self-hating Whites that one comes across individuals residing in all-White communities who are putting together all-White social networks—implicit Whiteness in action. On the other hand, there are quite a few marginal Whites, including a considerable number of White Muslims inhabiting the North African coast, all the way to Lebanon, with the bulk of them residing in urban centers of northwestern Turkey. Mostly, these are inhabitants with strong residues of the White gene pool harking back to early migrations of European tribes, to the Crusaders, and later on to the Turkish White slave trade in Europe. One could also add to the picture of marginal Whiteness the Persian King Xerxes, who was also of Indo-European origin. His powerful armies en route from Asia to Europe in 483 BC did not differ racially much from the Spartans. The Greeks, however, knew that they were not just defending their White looks and their gene pool at the Thermopylae; they defended a unique worldview and a special destiny that we call Western civilization. Many Middle Easterners, Persians and Turks could easily pass today for White Europeans. They can usually be encountered in the wealthy upper echelons of their respective societies and are, as a rule, extremely proud of their Whiteness, often more so than Whites in Europe and America. But their sense of European consciousness is non-existent. They are not Europeans. They will never be. Neither do they wish to be. In fact they often harbor deep, either open or covert, hatred against Europe, against its culture, its peoples and its civilization. Therefore, to implicit and explicit Whiteness that Kevin MacDonald writes about, one could add a third facet: “false”, “mimicked”, or “make believe” Whiteness. Such false White identity can be best observed when studying the lack of cultural-political identity among many Whites, as well as when observing serial catastrophes that befall peoples who are unable and unwilling to craft their specific cultural and political identity. In Europe there is a saying that if you do not decide who you are, somebody else will do that for you, and often in an ugly manner. 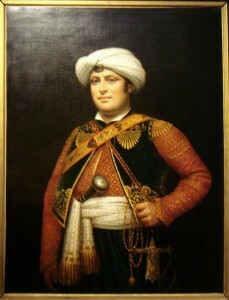 In the 16th century, during mass forays of Asiatic Turks into South-Central Europe, many Southern Slavs willfully converted to Islam, which in practice meant for them huge material benefits, professional advancement, and especially high racial prestige amidst the Oriental and Negroid populaces of Turkish-ruled Asia and Northern Africa. Later on, these White Muslims played a crucial role in the high administration of the Ottoman military hierarchy, which covered at some point the areas stretching from today’s Algeria to Azerbaijan and branched out to the heart of Europe, in what is today Hungary. However, these White European Muslims were deeply resented by White European Christians, who flatly viewed them as racial and religious traitors. In the Croatian and Serbian languages the word ‘Poturica’ (‘Turk-like’) has a derogatory meaning; it stands for a racial traitor and more generally for somebody who betrays his heritage when siding with the enemy. During the recent conflict in the Balkans, White Bosnian Muslims experienced the devastating impact of this word. Turkish Janissaries and later on Egyptian mamelukes were mostly descendants of those White racial converts, or“racial traitors,” although their ranks also included the best looking and healthiest White Christian boys captured by the Turks all over Circassia and the Balkans. Ironically, those de-Europeanized, White Muslim racial dropouts secured for centuries Turkey’s role of a major power in the Mediterranean basin. When the Ottoman Empire began to fade away from Europe, by the late 17th century, White Muslims began scrambling for new national identities with each newcomer appearing on the political horizon. Many of them moved to Turkey; some became occasional citizens of the Austro-Hungarian Empire; some, especially during WWII, became wishy-washy Croat citizens; most of them, though, ended up as doubly devout “Yugoslavs” (Southern Slavs) in the abstract multiethnic and multicultural powder keg known as Yugoslavia. Their indecisiveness clearly cost them dearly during the recent conflict with Catholic Croats and Christian Orthodox Serbs. These two peoples could easily trace their historical identity and cultural roots back to their respective medieval kingdoms. Not so the White Bosnian Muslims. For Croats and Serbs this was payback time. 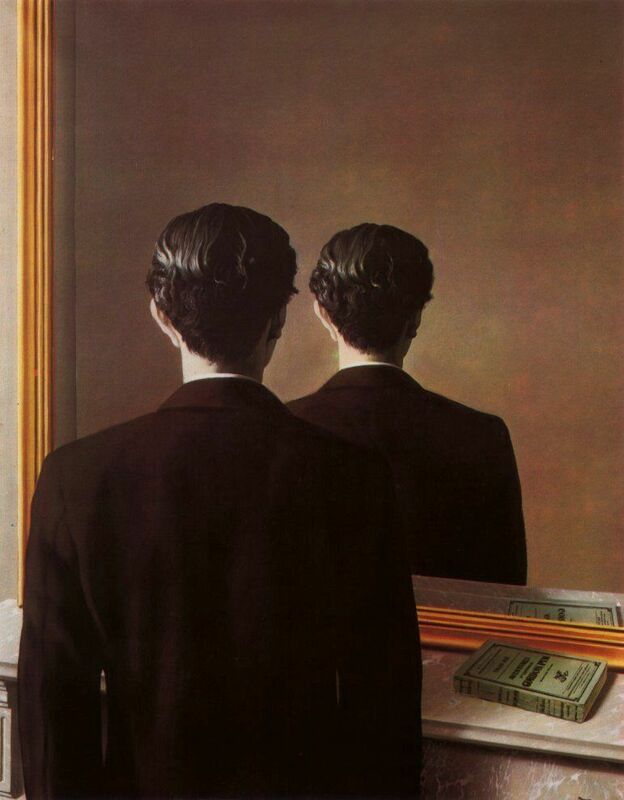 Impersonation, mimicry, or “simulation and simulacra,” as some postmodern French authors call it, is an important element in evolutionary psychology. As far as racial self-perception is concerned, imitation plays a crucial role in the quest for identity. Under treacherous political circumstances, mimicry becomes a mandatory mindset for the self–perceived weaker Same striving to become the better Other. When in a position of political strength, however, the Same attempts to eclipse the Other. By definition mimicry implies frequent bouts of self-hatred, which can best be observed today, on a pathological scale, among the German people and by extension among all guilt-ridden Whites in Europe and America. Such new White mimicry is the product of a new cultural hegemony following WWII. Western values and beliefs that had been considered normal and normative for a functional society, such as that miscegenation is harmful or that homosexuality is a disease, are viewed today as an abnormal and criminal behavior. Historically, glaring examples of racial mimicry and impersonation can be observed among the Jews. Thus, by the late 15th century, Sephardic Jews in Spain (often called Marranos, “Conversos”, crypto-Jews, or hidden Jews) underwent faux conversions to Catholicism. 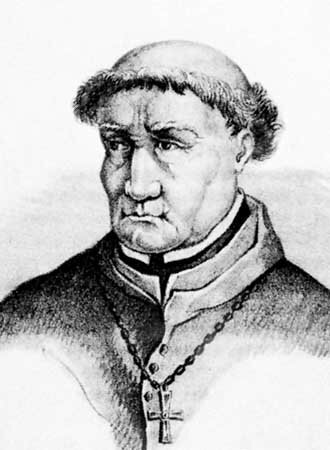 Apparently their newly mimicked Catholic belief could not fool the Catholic Grand Inquisitors (such as their ringleader, the merciless Catholic Tomas de Torquemada, who was himself of Jewish origin), leading to the expulsion of the remaining overt Jews and the ordeal of the Inquisition for the Marranos. Subsequently, scores of the expelled Jews settled in the Islamic Ottoman Empire where they played a prominent role in international trade and diplomacy, as illustrated by the influential Jew Joseph Nassi, alias João Miquez, alias Giuseppe Nasi, alias Yasef Nassi. The reverse side of self-hatred is an acute sense of victimhood — hatred from others as the ultimate self-affirmation. This phenomenon can be observed in Jewish intellectual circles as well as among many modern inquisitorial think tanks that enforce political correctness, such as the SPLC or the ADL. They notoriously hype the threat of anti-Semitism. Similar parallels in the construction of false political identity (i.e., the search for “negative legitimacy”) can be drawn with the former Soviet system, although it can also be widely observed among contemporary leftist academics. The survival of the communist system was dependent on such negative legitimacy through the massive use of abstract locutions such as “barbarous Nazis”, ugly counterrevolutionaries,” and “evil anti-Semites.” The communist system was grounded judicially in the official craving for the presence of the fascist evil — even when no fascist evil was in sight. However, by ceaselessly evoking real or surreal anti-Semitic threats, anti-Semitism, and Jew bashing do not go away, nor can they be contained. In fact, each name calling of purported anti-Semites and war cries for “vigilance against neo-Nazis” generate latent feelings of anti-Semitism, even among implicit Whites who do not otherwise care much about the social role of the Jews, or who even have a high opinion of Jews. Under such political and social circumstances Jewish self-perception as victims lapses into its very opposite: the collective self-perception of their racial, religious and cultural supremacy. Christian Zionists and many White Israel Firsters only add to the self-perception of Jewish moral and intellectual electiveness. Subsequently, this leads to an often-debated behavior of Jews overreaching themselves in their interaction with non-Jews without them being aware of it. From a historical perspective the consequences have been deadly for all: lasting suspicion, more mutual mimicry and eventually more hatred and more wars. In its perception of the Jews, the Nordic teaching on race had stumbled upon a difficulty in viewing them directly as inferior, on the one hand; yet, on the other, it had to stop short in front of the Psalms and the prophets of Israel. It cannot be denied that something along the lines: “The Lord is my Shepherd and there will never be any shortage of anything for me.”… is something which the Germanic teaching on Gods has nothing similar, even in its remotest parts. And that the Germanic people accepted that form piety, while forgetting its own — this is a crude fact. Mimicry is not a one way street and it is therefore false to blame the Jews for all the social ills of the West. There are countless Whites who wish to be “Hyperjews” without being Jewish. Suffice it to take a look at the Judeophile belief systems of millions of White Christian Zionists and Christian neocons in order to become aware of the awesome political dimensions of White multiracial mimicry. This pro-Jewish, pro-Third-World, self-hating White mimicry has paralyzing and debilitating effects. For example if a prominent White scholar or a politician is suspected, let alone accused of anti- Semitism, or the so-called White supremacism, he will likely go to great lengths to dispute these charges, using all declaimers in his arsenal in order to prove the opposite. Yet, he may be unaware of the fact that the more disclaimers he makes the more credence he lends to the charges of his detractors. Such a schizophrenic mindset is a founding pillar of the false White identity today. The reverse side of White mimicry is equally grotesque — and dangerous. There is a widespread belief among many White activists that behind every world catastrophe lurks the proverbial Jewish nose, from the Japanese tsunami to glitches on his home computer. Such a paranoid, ego-bound mindset reflects two defects: firstly, it mirrors the White activist’s own hunger for self-aggrandizement; secondly, it subconsciously bestows upon Jews superhuman and invincible powers which the White activist denies. Whites need neither mimic nor downplay the validity of the founding myths of other races, other cultures, including those of the Jews. When the White heritage is convincingly restored, Whites can have enough racial and cultural firepower to sustain their own identity.